So my first SS is an 02 monocog. it seems great and I am hooked. My wheels seem pretty old and the rear hub is fairly worn & feels a bit loose. Id love to go lighter. The Problem: 110mm hub spacing. Its not the normal 135mm hub. But I cant seem to find any wheels out there for this size. any options for me? or am I stuck buying a BMX hub and building my own wheel? (which I have never done, but im sure MTBR has a forum for it). You're stuck unless you want to have the frame spread by a good bike shop. You can find 110mm Redline wheels on the classifieds pretty regularly. what about building on from a BMX hub? I know they probably dont have disc brake BMX hubs. What does frame spread mean? that they can bend it out? Any idea if thats pricey? its a solid frame, so i wouldnt mind keeping it around for a few years. maybe worth $100 to fix it. maybe not. so I found some stuff on frame spreading. Not sure if I can go from 110mm to 135mm. An inch is a big jump and may break out some welds. Any thoughts or resources on building up a 26" bmx hubbed mtb rim brake wheel? is that surly a threaded cog? I assume since its a track hub. How much was yours? Do they make 28 or 36 holed rims? Im sure since frame spreading is out there, I could easily squeeze in a 120 mm hub. I just think a 135 would be too big. Adjusting your rear dropout spacing is easy, just grab and pull them apart. Doing it correctly is the difficult bit. Most well built frames don't like to be spread-eagled like you're wanting, but with patience and the right tools it can be done. If I still worked in a shop I would quote a customer the price based on the time it took to do it and the tools I have. If it takes an hour...I'd charge you an hour. But there are two groups of tools that can get this job done. The first, which is the most costly but the best to deal with is a frame table. These are large tools that look like, well, a standard dining room table but made of a thick plate of steel. Not too many shops have them because they are traditionally associated with custom frame manufacturing or frame repair. There will be a mounting point near the center of the table where your bottom bracket shell will be held, without your crank and bb in place so that will require its removal. Generally the frame is stripped down to just the fork and seatpost and then it is mounted to the table. 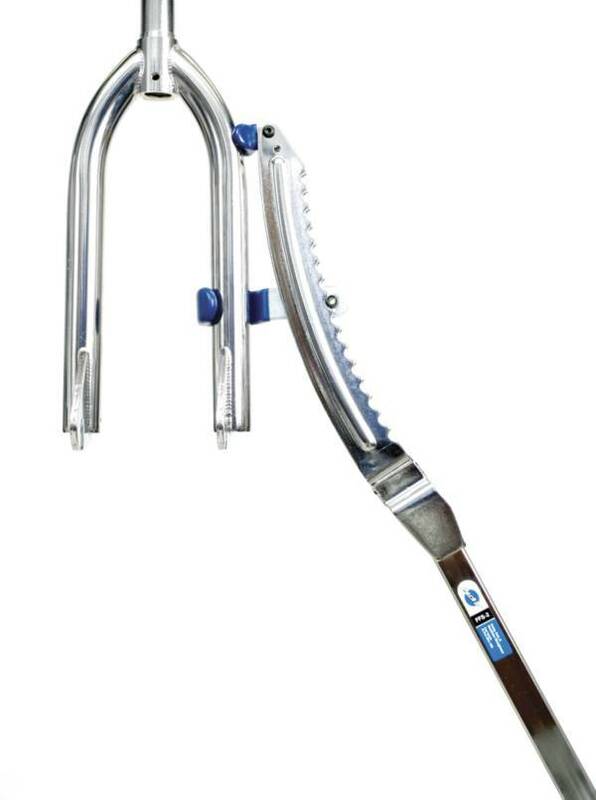 I did one of my road bikes way back when in Colorado Springs at the OTC and found that not only was the fork bent bakc and to the right, the head tube and seat tube were on two different axis. After a couple of hours we got it so the st & ht were on the same plane and then straightened the fork. It was amazing, that bike rode significantly better the next day. I was averageing 400 miles a week on that bike and the realignment made a psychological difference which may have benefitted my physical performance. I have no idea what someone with a frame table would charge but it would be the most accurate way to get your RL to be 135mm. The second way is the most common. Using the same smaller tools that are used with the frame table; a pair of dropout alignment tools and a frame alignment guage, a frame/fork straightener, a vernier and maybe a dead-blow hammer. Just kidding, no hammer needed unless really frustrated. 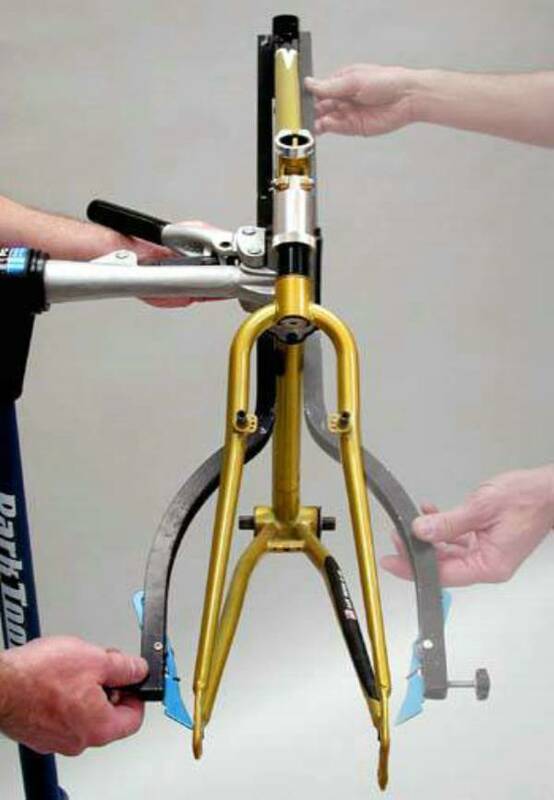 Your bike would be placed in a standard repair stand and using the tools listed, and shown below, the mechanics would wrestle with your frame until they get it at 135mm. Also, you should consider Bullseye hubs, I don't know if they still make a BMX hub but they used to. Give them a call at (818) 846-9163. It think that number still works. Your situation is a perfect opportunity for this conversion of a Surly front disc hub. Leave the 4mm of spacers off the drive side, and put only 10mm on the non-drive side, and it will space at 112mm. Easy enough to fit that in your 110 frame. Chainline would be about 42mm. With the right size bottom bracket, you should get it spot on. Frontwheel drive on a singlespeed? Kidding, That would work if he likes riding fixie. Thanks for the info caffeine!. I have also seen the home grown versions of these tools. A threaded shaft, some washers & bolts. Simply using the bolts to push the frame apart like that park tool does. Im sure the biggest issue would be alignment with the rest of the bike. I may know of a shop or two that could do it here in phoenix. the main 2 reasons I need to do this, is 1 because my rear hub is on its last leg, and the rest of the wheel is pretty old too, and 2 I would rather spend money on a nice wheel that I can use on other frames later, instead of building some crazy BMX hub mtn rim, that I could only use on this frame. Im willing to spend the money on a SS specific disc wheel set, as long as its versatile in the future. That would require this bike being 135mm in the rear. this would kill me on a mountain. on the street I could probably handle it for a little while. Ummm...Does nothing to allow using a disc brake and a freewheel. I just checked, and they have a variety of 120mm Surly hubs. They are all in the $40 range. sorry. thats not for me. i'm just getting into solid, dedicated SS. fixie is too much of a leap for me. There is a good assortment of BMX disc hubs out there DMR, KORE, Phil Woods, King; $40-$400. Any good LBS or web store can make you up a wheel. Just decide how much you want to pay. it appears that some trials riders may use bmx spaced hubs with discs in the rear. look around enought and i'm sure you'll be able to find one. profile used to make a really nice bmx disc hub, can't seem to find it any more.